Students from various industries and backgrounds collaborate in study groups and progress through the program together in a 25-30 person cohort. MSIT's unique curriculum offers a mix of technical (70%) and business management (30%) courses, preparing graduates to better translate their technology ideas into practical business solutions. 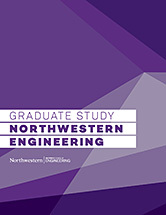 Northwestern University’s Master of Science in Information Technology (MSIT) program is uniquely designed for information technology professionals who want to improve and broaden their technical skills while learning the application of business principles. This combined skill set defines MSIT graduates — the ability to bridge the gap between fundamental technologies and business strategies — ensuring that they bring impactful value to the business. Designed for IT professionals with experience in the workplace, the program's unique blend of technology and business courses, a diverse student body, and coursework taught by academic professors and business executives prepares its graduates to strategically plan, implement, and manage information technology systems in a broad range of industries. The MSIT application is open for Fall 2019 admission. *Please note: MSIT has a rolling admission policy and will review applications until all seats are filled. Early submissions are encouraged. 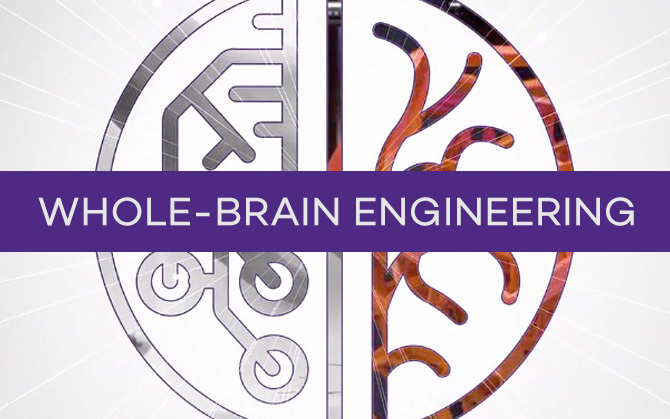 Each year, Northwestern MSIT welcomes a diverse group of talented students into this competitive cohort-style program, forming a creative and collaborative environment. Students vary in age, experience, nationality, education, industry, and position. The diversity of perspective, experience, and knowledge helps broaden students' outlook on the IT world and helps influence the education they receive both inside and outside the classroom. The MSIT program is housed within the Electrical and Computer Engineering Department in Northwestern’s McCormick School of Engineering. Nationally, the engineering school is ranked 20th, the Electrical Engineering and Computer Engineering graduate programs are ranked 23rd and 18th, respectively. MSIT professors are pulled from these selective programs as well as other highly ranked programs at Northwestern. Student support to assist working professionals with registering for classes, securing textbooks, etc. Graduates of the MSIT program are well-prepared for immediate employment in a variety of professional industries. Graduates from the part-time program, having been employed while pursuing their degree, are often promoted during the program or upon graduation. Full-time students have enjoyed a 90%+ employment rate before program completion. Graduates have received offers to work for data-savvy organizations such as Microsoft, General Motors, Goldman Sachs, Price Waterhouse Coopers LLP, and Abbott Laboratories, among others. Join us for our Open House Information session on Saturday, April 6th at 1:30pm, CST.